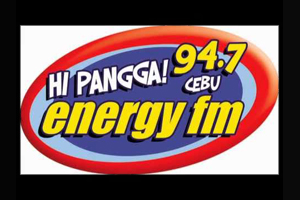 DYLL, broadcasting as 94.7 Energy FM Cebu is a music FM radio station owned and operated by Ultrasonic Broadcasting System Inc.. The station's studio is located at Boy Scouts Camp, Capitol Hills, Lahug, Cebu City. This used to be Mellow Touch 94.7, under ownership of FBS Radio Network Inc., from 1992 - 1998. In 1998, UBSI acquired this station & rebranded it as 94.7 Energy FM due the ownership swapping. The largest fish in the ocean is sailfish... christy of saac mactan lapu lapu City.